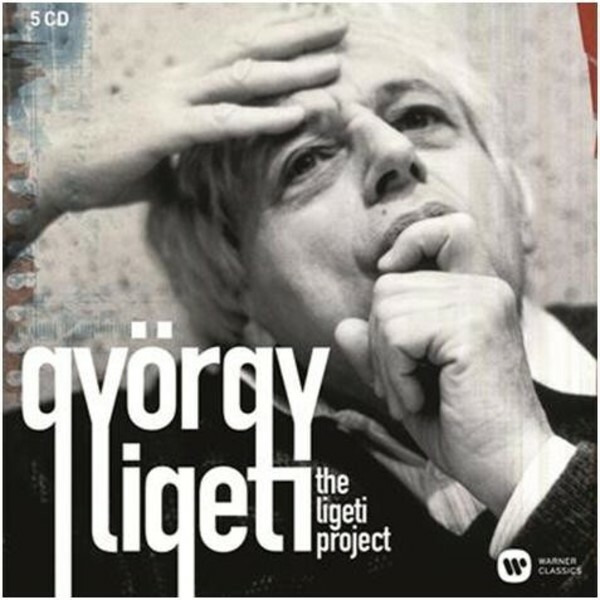 This Teldec collection was a project close to György Ligeti’s heart – the pioneering Hungarian composer was actively involved in the recording process up until his death in 2006. The artists had long-standing relationships with Ligeti and his work, both in the studio and in concert: pianist Pierre-Laurent Aimard, the Berlin Philharmonic, the Schönberg and Asko Ensembles led by Reinbert de Leeuw. The liner notes, written by Ligeti himself, contain a brilliant and illustrative essay about the genesis and composition of each work. From the massed sonic clouds of the orchestral masterpiece Atmosphères to rarities like Elgar Howarth’s arrangements of excerpts from the opera Le Grand Macabre and Max Bonnay’s accordion transcription of Musica Ricercata, this 5-CD set reveals the iconoclastic genius of Ligeti as well as his sharp musical sense of humour.